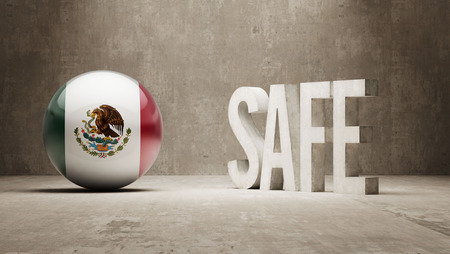 Is VSG (Gastric Sleeve) in Mexico Safe? There are several things to take into consideration when planning to have a gastric sleeve surgery such as quitting smoking a month or more before surgery for smokers, observing a healthy pre-exercise and diet regimen, mental and emotional preparation is also highly recommended, budget and above all else, where to have the procedure done. Bariatric surgery has become one of the most recommended weight loss option to those who have tried and failed to lose weight and keep it off. Anyone planning on undergoing any primary or minor surgery, theirs and the surgeon’s main concern is always the outcome. You look hope for fewer to no complications at all during the procedure itself and a quick and relatively easy recovery after that. No surgery is ever risk-free, which is why surgical candidates are encouraged to do their research beforehand to understand the possible complications and help them make a well-informed judgment call. While weight loss surgery in Mexico is more affordable compared to the US and several other countries, one of the most common misleading notion of it as a country and as a hub for bariatric surgery is that it is not safe, many of its hospitals are a horseshoe magnet for bacteria and germs and that there are no credible surgeons who can operate on you with integrity. There is no disputing such claims from unsuspecting patients who have been an unfortunate target of scammers where they have ended up losing a lot more money than their weight. We are now seeing more and more people from all walks of life travel to Mexico to have this life-saving procedure. However, of the main concerns for such individuals considering weight loss surgery is that they are faced with foreign laws and regulations in a hospital they do not know or a surgeon they haven’t met in person before they get to Mexico, which in essence can be a tad daunting. That said, choosing a surgeon is a big decision some very qualified and gifted bariatric doctors in Mexico have been evaluated and recommended by the Joint Commission International. JCI is an American-based organization in charge of patient safety that works with healthcare networks, ministries of health, and global organization in more than 100 countries worldwide since 1994. As developing country, Mexico has an impressive number of JCI accredited bariatric hospitals and medical centers specializing in many disciplines, with modern, high-tech medical and well-equipped surgical facilities built exclusively to cater for medical tourists and a wide range of highly trained doctors and surgeons. JCI accreditation is a long-term process that demands commitment and lots of preparation leading up to the survey where a team of expert JCI physicians, nurses, and healthcare administrators visit the medical facilities and assesses thousands of quantifiable rudiments that focus on every facet of the establishment in order to provide a complete evaluation of the effectiveness of the organization’s patient safety and quality system. All medical or organizations that have achieved and maintained the Joint Commission International accreditation are those that patients should look out for because they dedicated to providing their patients the best level of care possible. They are also focused on following strict JCI standards that are created to reduce or minimize risks during any surgical procedures thus building a culture of patient safety that stimulate and support sustained quality improvement during any medical process or procedure. Therefore, when you are looking for a world-class healthcare organization that has met JCI’s gold seal of approval in Mexico, it will be one that has the sign of this unique accomplishment on its premises and its website. This tells you that they have demonstrated a profound commitment to high-quality care, service of patient-centered safety and in a safe environment and continuous compliance with exacting the standards and rigors of JCI accreditation throughout their practice. JCI accredited vertical sleeve facilities that are available in Mexico have also had their surgeons, bariatric coordinators and dieticians vetted and approved. However, this should not stop you from asking questions that you feel are important or seem ambiguous. One such important question that patients often overlook is asking about resources a medical facility offers before and after surgery to help them learn how to keep the weight off and lead a normal healthy life. Such funds may come in the form of quality support group meetings, which can be online support groups, weekly support groups, and even Facebook support groups. Other practices may also offer a staff dietician or a workout regimen that will help you track your caloric intake and exercise routine. Others may provide counseling support and evaluations that help patients prepare for the before and after effects of gastric sleeve surgery. All of these things are necessary resources that lead to a fruitful and stress-free weight loss journey. It is also important for individuals who are planning to undergo a weight loss surgery to understand that not all surgeons perform every bariatric surgery. Therefore, a good doctor that is more concerned with your success than he/ she is with making money will advise you on the procedure that best favors your weight loss expectations instead of trying to sell your another bariatric surgery for their financial gain. During the consultation process, a good bariatric surgeon should take into consideration your overall lifestyle including your risk tolerance, your exercise habits, and your dietary habits. He or she should also present you with the benefits and risks associated with the recommended procedure and take the time to explain the process to your satisfaction. This is a life-altering decision that you will be making, and the consultation process should not be rushed, and if a surgeon rushes through your consultation, you should probably think twice before making any hasty decision.